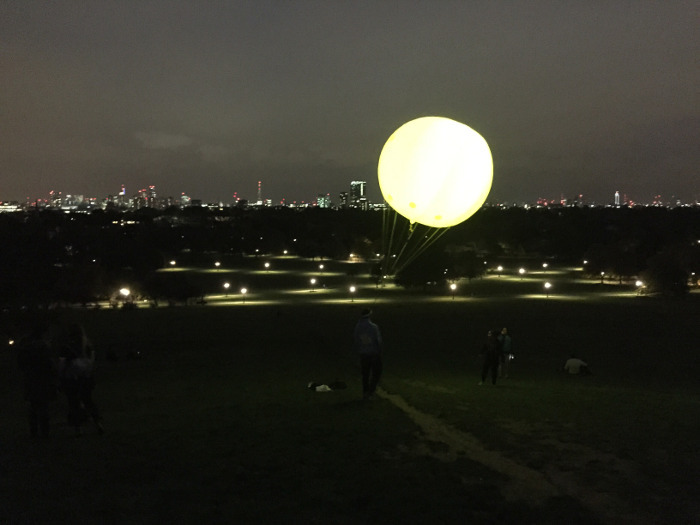 "It's like a giant ball of happiness," says one man to us in Crystal Palace park. 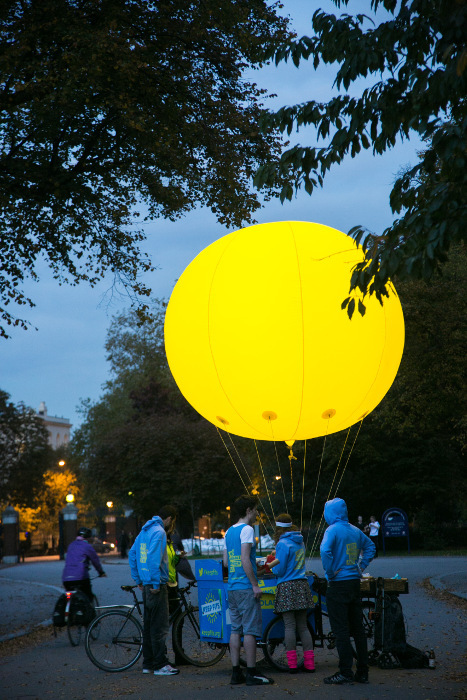 Since last Friday's flashmob at the Treasury, we've been taking our 10 foot floating imitation-sun to different London parks to talk about the proposed cuts to renewable energy. So far we haven't found a single person who's not in favour of more power from wind, solar and hydro. 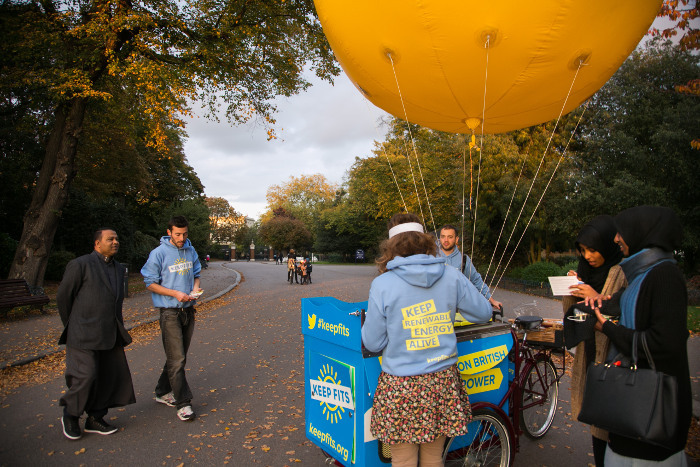 We gave out free ice-cream (courtesy of Marine Ices) from our Keep Fits tricycle (courtesy of IdeasBox). Despite the October weather, everyone we've met so far has been appreciative. Let's enjoy the power of the sun all year round.